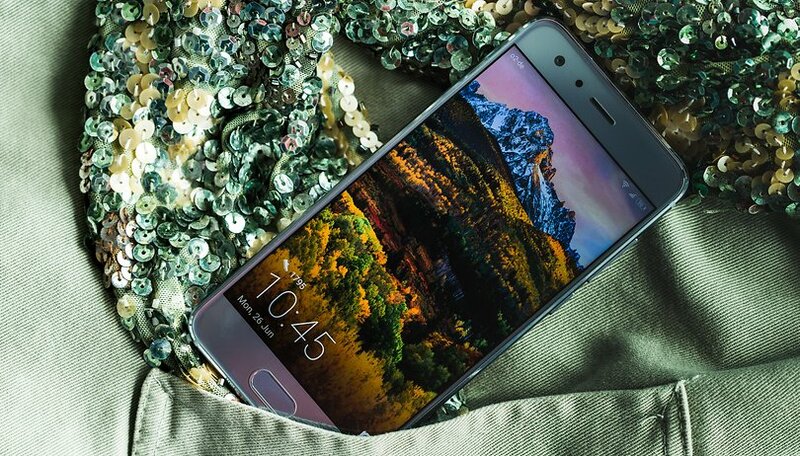 Ten months after the presentation of the Honor 8, Honor is back with its successor. The Honor 9 was revealed in China on June 12, and now it has made its international debut at a launch event in Berlin. With a striking design, hardware inherited from the Huawei P10 and a launch price of around £380 (about $495), does the Honor 9 offer the best price to quality ratio on the market? The Honor 9's international launch event was held in Berlin on June 27. Its price is around £380 (about $495), and it is available in blue, gray and black, depending on the market. The Honor 9 is offered with 64GB of internal memory and 4GB of RAM, but who knows, Honor may decide to offer a Pro version in the coming months, as it did with the Honor 8 Pro. In direct competition, considering the price, is the OnePlus 5 model with 6GB of RAM and 64GB of internal memory for $479. In terms of specs, though, the Huawei P10 is more comparable, and while it launched at £550 (about $700), it is now available for around $550. The Honor 9 is available in Europe, including the UK (£380). At this time, there aren't plans for the Honor 9 to be sold in the U.S., but we will let you know if that situation changes. I must admit: as I took the smartphone from its box, I felt as if I was unboxing the Samsung Galaxy S8. I was given this impression by a black film on the display, making the phone appear to be bezel-less. Back to reality, the Honor 9's display is nothing like the Infinity Display from Samsung: it isn't curved, and it is surrounded by bezels which match the color of the body of the device - gray, in our case. But, the back panel of the smartphone does, in fact, resemble the S7 from the Galaxy line. The smooth, clean design of the body, covered by 3D glass, has a certain charm. The curvature on the right and left sides also remind me of the Xiaomi Mi 6, giving a sense of elegance and excellent ergonomics. The light plays nicely on the gray model I tested, in much the same way it did on the Honor 8. The Honor 9's dimensions are 147.3 x 70.9 x 7.5 mm, and it weighs in at 155 g - 2 more grams than its predecessor, and 10 more grams than the P10. At the back, you'll find the camera module on the top left. You can see and feel that it doesn't protrude. There is also a dual LED flash, autofocus laser and the words "DUAL LENS hybrid zoom". The USB Type-C port is located between the headphone jack and mono speaker at the bottom. Like the Huawei P10, the Honor 9's fingerprint reader is located on the front panel and it additionally acts as a navigation button. The hardware buttons of the phone are located on the right side, and unlike the P10, the power button isn't textured to help your fingers find it more easily. On the left side, you can insert a nano SIM and a micro SIM card, or two SIM cards. The Honor 9 sits really nicely in your hand: it is easy to hold and grip, even with one hand, and it isn't slippery. When placed on a flat surface though, it will slide more easily than the Honor 8. The build quality and finish is top notch - quite similar to that of the Galaxy S7. While the body is still a fingerprint magnet, Honor listened to complaints from its customers and added an oleophobic coating to the display, which is why you won't find a screen protector film on the display when you unbox the device. In my opinion, the Honor 9 is the most beautiful smartphone produced by Honor so far. Design is a matter of taste, though. In any case, the build quality is impeccable. Packaged along with the smartphone, you'll find a pin to eject the SIM tray, a clear plastic cover, a pair of earbuds and the Quick Charge charger and its cable. The Honor 9 has a 5.15-inch IPS LCD display with Full HD resolution and 428 ppi, covered by 2.5D glass. The screen to body ratio is 70 percent. Even Honor, as OnePlus did with the OnePlus 5, decided not to opt for QHD. This is a letdown for VR lovers, but for anyone else, Full HD is really all you need on the smartphone. Putting the display of the Honor 9 and Huawei P10 side by side, with the default color temperature and brightness set to maximum, the colors of the display of the Honor 9 are noticeably warmer. In the settings menu, you can adjust the color temperature to your liking. Honor has added a new display setting called Increase readability under sunlight, which didn't perform miracles, but improved visibility slightly in my test. However, the sun admittedly wasn't very bright at the time. There is still a night time reading feature. Overall, the viewing angles are good, and with the display brightness set to just 60 percent, you can enjoy any content without too much impact on the battery. In the accessibility settings, it is possible to invert the colors of the display, making words white on a black background. Unsurprisingly, the Honor 9 ships with Android 7.0 Nougat and EMUI 5.1, with all the features that are already available on the Huawei P10 and Mate 9. The device we tested came with the May security patch. In the settings menu, I was happy to find Phone Clone, which transfers data from your old smartphone quickly and intuitively. The feature is already present in the Honor 8 and Honor 8 Pro, and I think it is a service (along with App Twin) all manufacturers should offer, while we wait for Google to implement a more comprehensive backup system. Shifting the fingerprint scanner to the front means losing the ability to use it as a shutter button. From the settings menu, you can activate the app drawer and choose between using the home button as the sole navigation button or activating the backlit capacitive buttons. Shifting the fingerprint scanner to the front means losing the ability to use it as a shutter button. When Huawei made this choice with the P10, I thought it was a shame, but I quickly got used to it. The home button on the Honor 9 responds quickly, though it took a bit longer to recognize my fingerprint. Of the 64GB of internal storage, 47.53GB were available for use. Pre-installed apps include Instagram, TripAdvisor, Booking, eBay, Results (sports), Google apps, the Games folder and some brand apps like Vmall. The pre-installed apps will vary by region. In my test, the software didn't run into any problems. Google Assistant and Google Now recognized commands without problems. EMUI is more mature than ever, and it offer customization options to suit the tastes of a variety of users. Fans of stock Android won't like EMUI as much as others. The Honor 9 has NFC and an IR blaster, but it lacks an FM radio. The Honor 9 has a Kirin 960 octa-core processor, with four Cortex-A73 cores clocked at 2.4GHz and four Cortex-A53 cores clocked at 1.8GHz - the same processor as the P10 - with a Mali G71-MP8 GPU. The RAM and internal storage are also the same: 4GB of RAM and 64GB of internal storage (eMMC 5.1), expandable via MicroSD up to 256GB. What does all this mean in terms of everyday use? Multitasking and switching between apps is fluid. Opening apps is quick, and even during long gaming sessions, I haven't encountered slowdowns. When playing Sonic, the phone got warm, but not worryingly so. The Sonic game crashed twice, but this didn't happen with Real Racing 3 or Crossy Road, so I'm fairly certain there was a bug in the Sega title rather than an issue with the phone. Below are the benchmark results for the Honor 9, alongside those of the Huawei P10 and OnePlus 5. It should be noted that the OnePlus flagship listed in the table below has 8GB of RAM and 128GB of internal memory, and therefore, belongs to a higher price range ($539 for this model). The Honor 9 has a mono speaker on the bottom left, which was created in a collaboration with Monster. You might sometimes accidentally cover it with your hand, but it performs well. The maximum volume is high, and when compared to the P10 by playing the song TNT by AC/DC, it seemed to be clearer and have less noise. During calls, the sound is clear and the microphone takes advantage of the active noise cancellation. No headphones came packaged with the test device we received, but you can rest assured, they do come with the retail device. For my test, I used the Hybrid headphones by Honor. These are equipped with a remote control and microphone, making enjoying music and taking calls easy when you have your hands full, though they tend to slip from your ear. Your comfort depends on your own ears and preferences: I tend to prefer over-the-ear headphones. The Honor 9 features a dual main camera, made up of a 20MP monochrome sensor and a 12MP RGB sensor with an f/2.2 aperture. The two lenses capture information and combine it into a single, more detailed shot. It features phase detection auto-focus, 2x hybrid zoom, and dual LED flash. There is no Leica branding or optical image stabilization. The selfie camera has 8MP and an f/2.0 aperture. The Honor 9 can shoot video in 4K and Full HD at 60 fps. The camera app opens in a snap, and is as easy to navigate as the P10: swipe right for the settings and swipe left for the different modes. On the Honor 9, you can take advantage of the Pro mode for video, as was introduced on the Honor 8, which lets you control some parameters (like autofocus and exposure). Among the innovations, there's the Panorama 3D mode (via the social application developed by Fyuse) and 3D Creator (already present on Honor 8 Pro, but not on Honor 8). The latter allows you how to create customized 3D avatars and convert them to GIFs, but to do this, you must keep your hand very steady. These features highlight the fact that Honor targets a young audience that likes to stay on top of trends. To make the most of the hybrid zoom, which is based on the use of the different focal lengths of the two lenses, just press 1.0x, which is written next to the screen. For the rest, you will find filters, portrait mode and the bokeh effect already seen on the Honor 8 and the P10. The front camera offers Panorama, Video, Panorama 3D and Time Lapse modes. The shots taken when the lighting conditions are good are clear and detailed with colors close to reality. At night, when the lighting becomes weaker, you have to hold the smartphone very steadily or secure it to a tripod to avoid blurry shots. "When the lighting conditions are good, the Honor 9 offers shots rich in details, and while the exposure is quite balanced, the dynamic range of the sensor is quite low. This is a recurring problem on smartphones. The current flagships are able to solve the problem by integrating an automatic HDR mode that takes several images with different exposures and then combines them into a single photo with a wide dynamic range. The Honor 9 offers this, but it must be activated from the menu. Compared to high-end smartphones, the Honor 9 offers lower performance in high contrast environments. By day, the details are well defined: the images are close to reality. In dimly lit environments, the automatic white balance results are fairly warm, and in dark environments it tends to turn green. All this is, however, normal for a smartphone. The Honor 9 increases the ISO sensitivity in low light and noise can be observed in the colors, especially with skin tone. Noise reduction works well: images retain a good amount of color and detail without too much noise. Due to the absence of the optical image stabilizer, when lighting conditions are not good, the Honor 9 must rely on fast shutter speeds. The slowest recorded time is 1/15 second (to give a reference, the S8 is 1/4 second). The Bokeh effect blurs the background, and gives good results here, although it is not perfect. The Honor 9 camera offers a lossless 2x zoom with a resolution of 20 MP. In the end, this zoom offers results similar to normal images enlarged to 200 percent on Photoshop. As for the difference between 12 MP and 20 MP images, the pictures taken with the lowest resolution are the richest in detail. At the front, the 8 MP camera does a good job in terms of color and exposure. The HDR mode is lacking on the selfies, which translates into a more blurry sky in outdoor shots. To conclude, the smartphone is able to take good photos in high contrast scenes, but it shows its limits when the contrast is high and the environment is dimly lit. I have the impression that high-end smartphones on the market are one step ahead of Honor." The Honor 9 has a 3200 mAh battery, which can be recharged with Huawei's familiar Quick Charge technology that uses 2A and 9 volts. The battery is 200 mAh larger than that of its predecessor. I plugged in the smartphone to charge at 10:22 AM, and it had charged from 12 percent to 98 percent by 12:22 PM. Don't expect a miraculously long battery life with the Honor 9 though, as you'll need to charge the phone by the end of the evening. In benchmark tests, with Wi-Fi disabled, SIM inserted and brightness at 50 percent, the result was six hours and 58 minutes. I used the Honor 9 as I would my usual phone, with brightness at 50 percent, using WhatsApp, taking photos, surfing the web, playing some YouTube videos and playing Sonic and Asphalt 8. By bedtime, there was 15 percent battery left. In benchmark tests, with Wi-Fi disabled, SIM inserted and brightness at 50 percent, the result was six hours and 58 minutes - placing the Honor 9 below the Honor 8 Pro and Huawei P10. From the settings menu, you can activate energy saving mode and Ultra mode. The Honor 9 is nice to look at and to hold. The brand has done a solid job with the design, though it doesn't seem entirely unique: it's reminiscent of the Samsung Galaxy line. The hardware is inherited from the Huawei P10, you can be assured in terms of its performance. EMUI 5.1 and Nougat are already running smoothly on other devices in the family, and the software offers various customization options to suit different tastes. The price of around £380 (about $495) makes the Honor 9 a really compelling smartphone, which draws comparisons with its cousin, the Huawei P10, as well as the OnePlus 5. I would personally choose to buy the Honor 9. From the multimedia side, the camera is full of features and able to cope with the most demanding user's needs with the Pro mode for both photos and videos. The only flaw in this smartphone is that it brings together features and designs we've already seen before, but this is a problem with almost all the new devices on the market. Personally OIS is one of the most important factors in a phone. I would never purchase a phone without it. I would take the honor 8 pro over this all day long especially the 4000mamp battery which it incorporates! And yes it has OIS! I think I made a mistake it has EIS instead of OIS. Sorry! Hi Jessica, does it have RAW option on camera ? Am considering a move from P9 to this phone. What do you think ? Is the image capture quality do any better compared to P9 which has LEICA brand on it ?